Johnson Joy, the Department of Housing and Urban Development’s chief information officer, suddenly resigned today. A HUD spokesman confirms Secretary Ben Carson accepted Joy’s resignation this morning. Johnson Joy resigned March 20 as the chief information officer at the Department of Housing and Urban. The spokesman said Chad Cowan, the chief of staff to the Deputy Secretary, will temporarily serve as the acting CIO. Joy’s last day is today. The Guardian first reported Joy’s resignation, saying it comes after allegations of corruption surfaced around a contract for professional and staffing services. HUD hired Joy in June after running J3 Global Inc., an IT and management consulting firm in Houston, Texas. Joy told Federal News Radio in November he wanted to move HUD off of mainframe legacy systems and into the cloud, and implement virtual desktop interface (VDI) technology. Joy becomes the second CIO appointed by the Trump administration to resign suddenly. 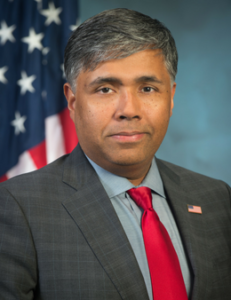 Richard Staropoli, the former Homeland Security Department’s CIO, left Aug. 3 after only three months on the job.